REUTERS/Brendan McDermidAlibaba Group Holding Ltd founder Jack Ma (2nd L) poses as he arrives at the New York Stock Exchange for his company’s initial public offering (IPO) under the ticker ‘BABA’ in New York September 19, 2014. We’re learning more details about what an Apple-Alibaba partnership might look like, thanks to a Wall Street Journal interview with Alibaba cofounder Joseph Tsai. 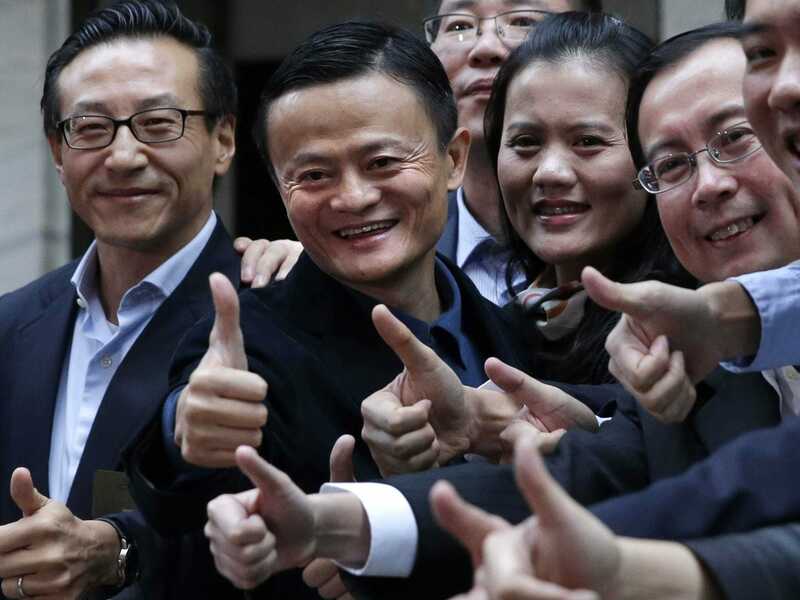 In October Alibaba founder Jack Ma hinted that the e-commerce company might join forces with Apple. “I hope we can do something together,” said Ma. If people want to use Apple Pay in China, Apple would have certain restrictions and limitations on operating payment businesses in China. So we are thinking whether there is any opportunity for us to work together where Apple Pay and Alipay can somehow work together in China. Alipay is part of Ant Financial, so (Ant Financial CEO) Lucy Peng and her business development team are involved in the talks. Right now, I think what we can say is that this is focused on the China market for Apple. Tsai points out that navigating regulations in China is just one reason Apple would be interested in partnering with Alipay. Tsai said Alibaba is also looking at operational details, like tying AliPay accounts to Apple Pay. “If you are talking about Alipay as the back-end operation to support the front-end Apple Pay, how do the two systems work?” said Tsai. It seems like Apple and Alibaba are still working out the technologies needed to make a partnership work, but that conversations have reached this point should bode well with iPhone (and Apple Pay) fans in China.